I interlocked 10 Lewis Simon-Bennet Arnstein Cubes with Windows. The basic model for each cube can be found in the Beginner's Book of Modular Origami Polyhedra - The Platonic Solids by Rona Gurkewitz and Bennett Arnstein. 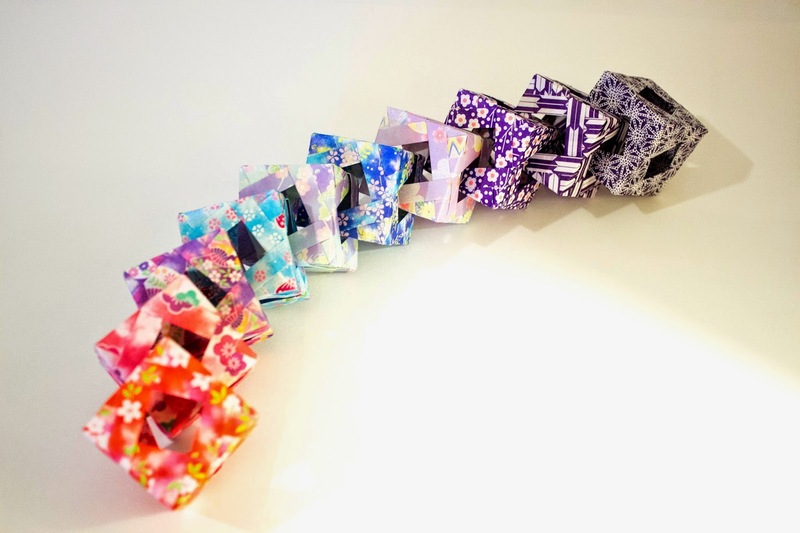 Each cube is made from 12 units of 1 1/2 by 3 inch chiyogami paper purchased from Amazon.com. Designer: For the entire chain… no idea, but for the units see above.